On 5 October 2016, the World Head of the Ahmadiyya Muslim Community, the Fifth Khalifa (Caliph), His Holiness, Hazrat Mirza Masroor Ahmad was visited by Mr John Honderich, Chairman of the Board at Torstar Corporation (media group) at the Baitul Islam Mosque in Peace Village, Canada. 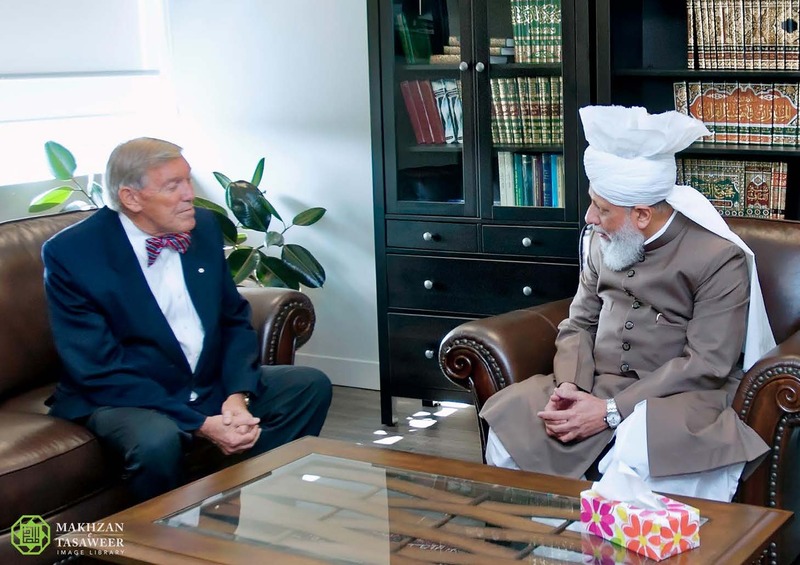 During the meeting, Mr Honderich expressed his regret that the Toronto Star newspaper (a Torstar publication) had recently published an article about a new study that suggested extremist literature was prevalent in Canadian Mosques and had mistakenly included a photo of the Ahmadiyya Muslim Community’s Baitul Islam Mosque. as it had been a means for Mr Honderlich and the writers at the Toronto Star to become further acquainted with the true and peaceful teachings of Islam and with the Ahmadiyya Muslim Community itself. “tolerant nation who was ready to absorb immigrants better than many others”. by encouraging them to enter the work force as soon as possible.